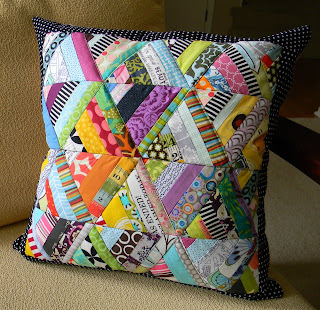 I'm chalking this scrappy pillow up to experience. Next time I make 60 degree string triangles, I'll use them for a project that won't require me to cut so many off to make it a specific size. I'll probably use fabrics and colors more strategically, too. A little more contrast between blocks would help. 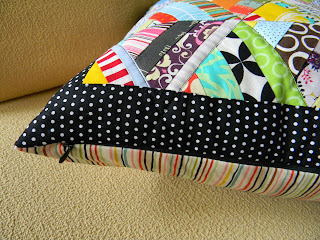 I decided to use the blocks to practice something on my to do list - an invisible zipper in a quilted pillow. Katie has a wonderful tutorial. I need to try this a few more times. My zipper tape shows a little. 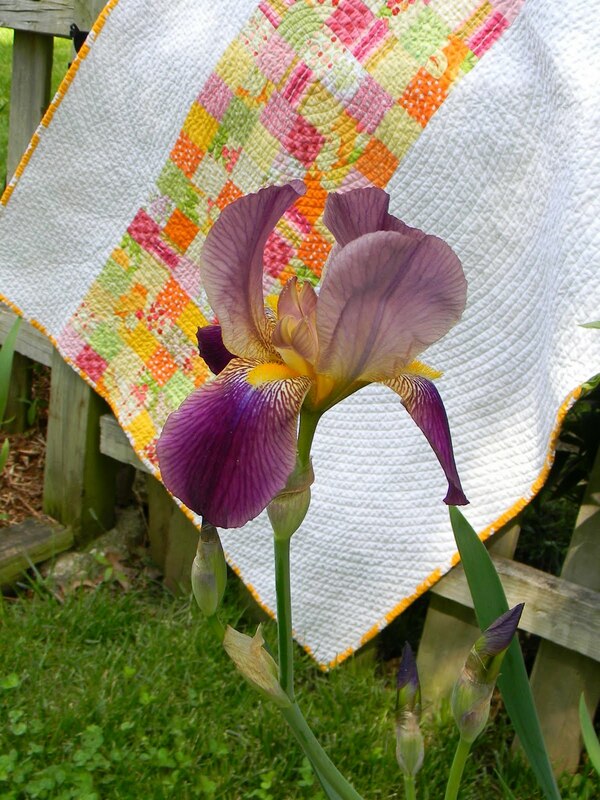 I also want to do her tip of using muslin to create a lining for your pillow. Lots of lessons learned on this, but it's kind of crazy and fun on this cloudy day. 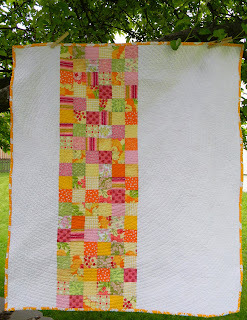 After I saw these blocks on Crazy Mom's blog, I wanted to try out something similar. I started with diamonds, then cut them in half, which allows you to piece two triangles at once. 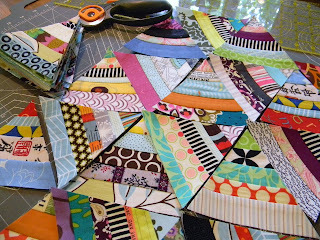 There is something so satisfying about paper piecing string blocks. When you trim them down, they transform from kind of a mess to being so exact. Not sure where this scrappy experiment is going, but it's been fun so far. 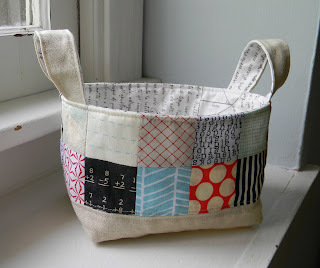 I turned to Pink Penguin's great tutorial again to make these fabric baskets as end of the year teacher gifts. I used all the "teacherly" scraps I could find. 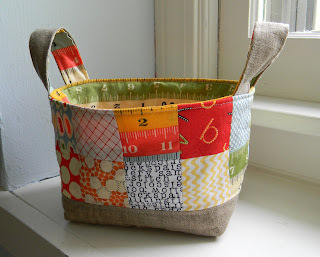 It was fun to use my writing paper and graph paper and ruler prints, as well as some wonderful math fabric generously given to me by Tia (with a bunch of fabulous scraps! Thanks!). 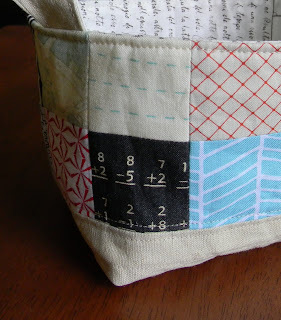 I had to find more of the math fabric - so fun. I put some extra in my etsy shop. I'll fill these with chocolates and handmade thank you notes. My son has had the sweetest preschool teachers ever. 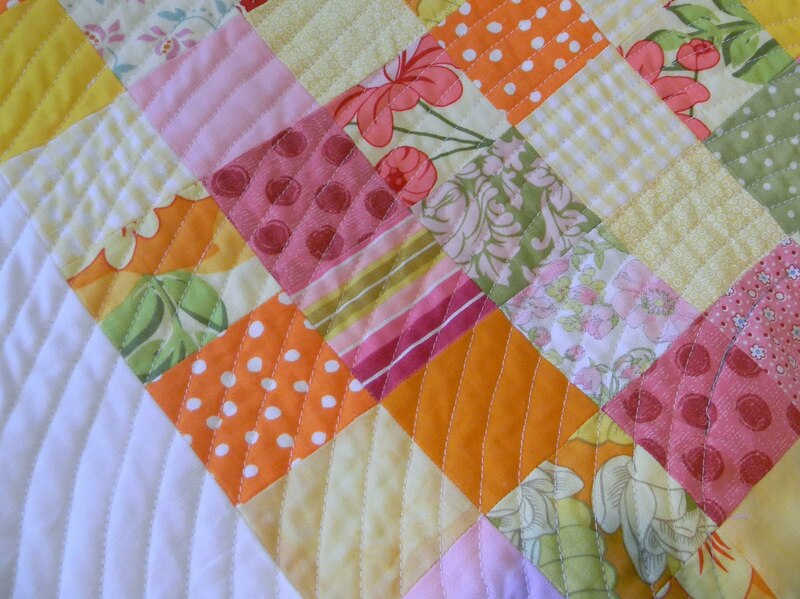 This quilt top has been a WIP in my closet for a while now. 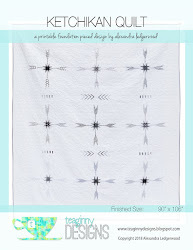 I made it as a prototype for the Pure Baby Boy quilt I designed for Moda Bakeshop last summer. It was made with scraps and varies slightly from the design I eventually settled on. I had plans at the time to hand quilt this, but obviously that didn't happen. 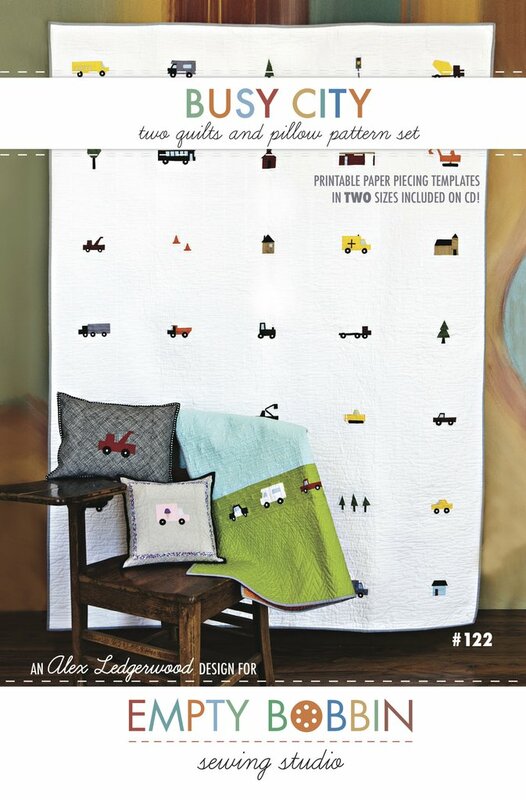 :) Like many of you, I have so many quilts I would love to make and not a lot of time. 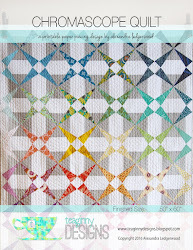 Hand quilting just wasn't practical for this one, so luckily I came across a design I thought would add some interest to the negative space. 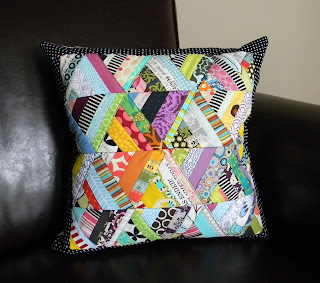 I first got the idea from a quilt Alissa showed at a guild meeting. 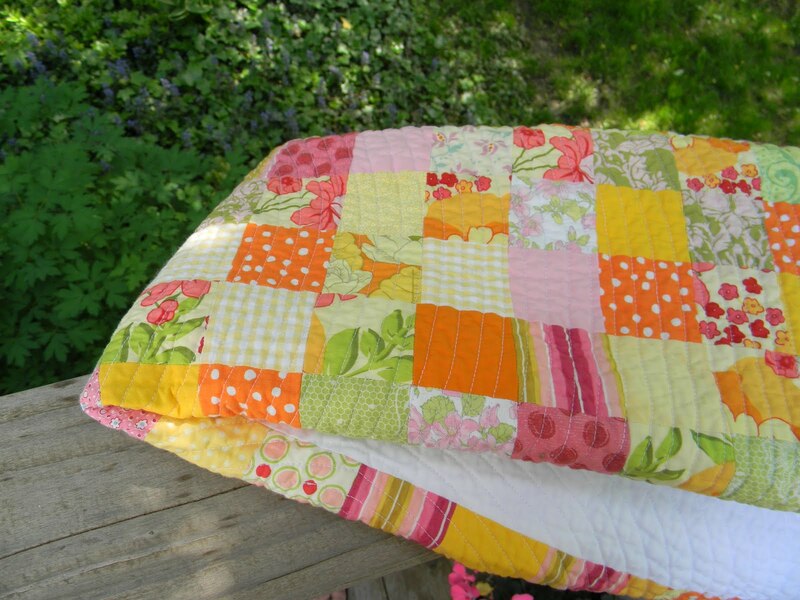 I was reminded of it by the circular quilting on Malka's quilt on Sew Mama Sew. Alissa generously explained her quilting method for this type of spiral/circular quilting. I followed it, as well as I could recall. First, I traced a small circle on the quilt top. 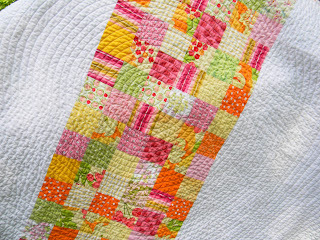 I used my walking foot to quilt this line, and then used the edge of the foot as a guide to continue spiraling outward. I finished the inside of the circle, with all those tight curves, with a darning foot. 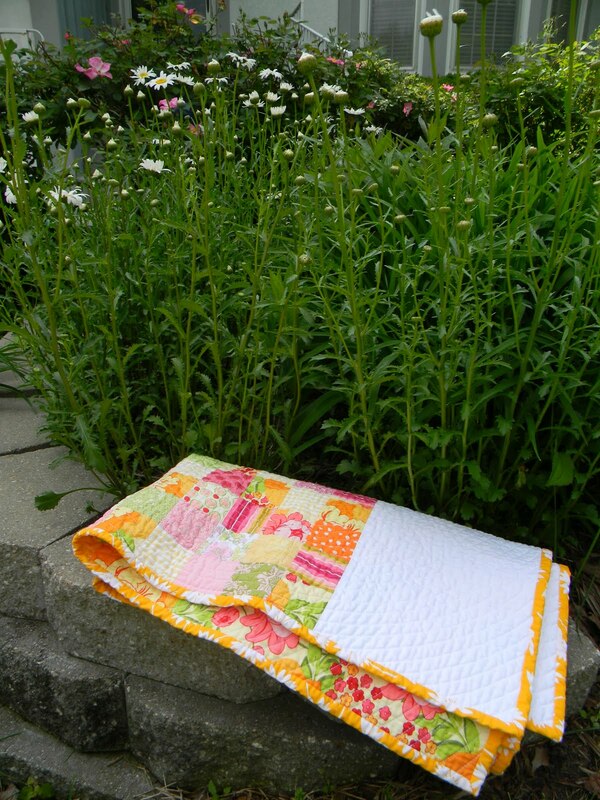 It is backed with my favorite Meadowsweet print, by Sandi Henderson. This baby quilt finished at 34 x 38 after washing and drying. I'm trying out some concentric circular quilting on an old WIP. It's intense. I hope it'll pay off. I'm busy working away on something I'll be able to show you in July. Can't wait! Also, stripping wallpaper in my bathroom. Can't wait to be done! You don't want to see that. 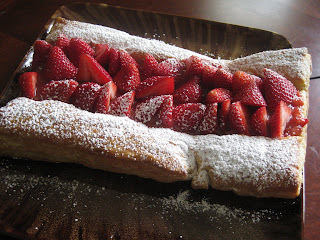 Something I can show you: this strawberry rhubarb tart. You can find the recipe here. Make it now! It is insanely good.